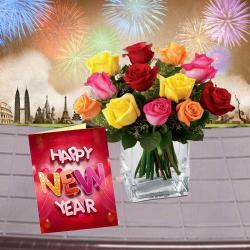 Product Consists : Bouquet of 18 Mix Flowers like Gerberas and Roses in a Tissue Wrapping along with New Year Greeting Card. 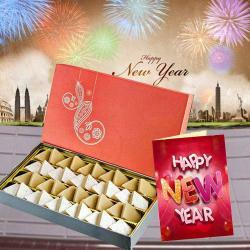 Giftacrossindia.com brings to you extra ordinary gifts to make your New Year celebration special. 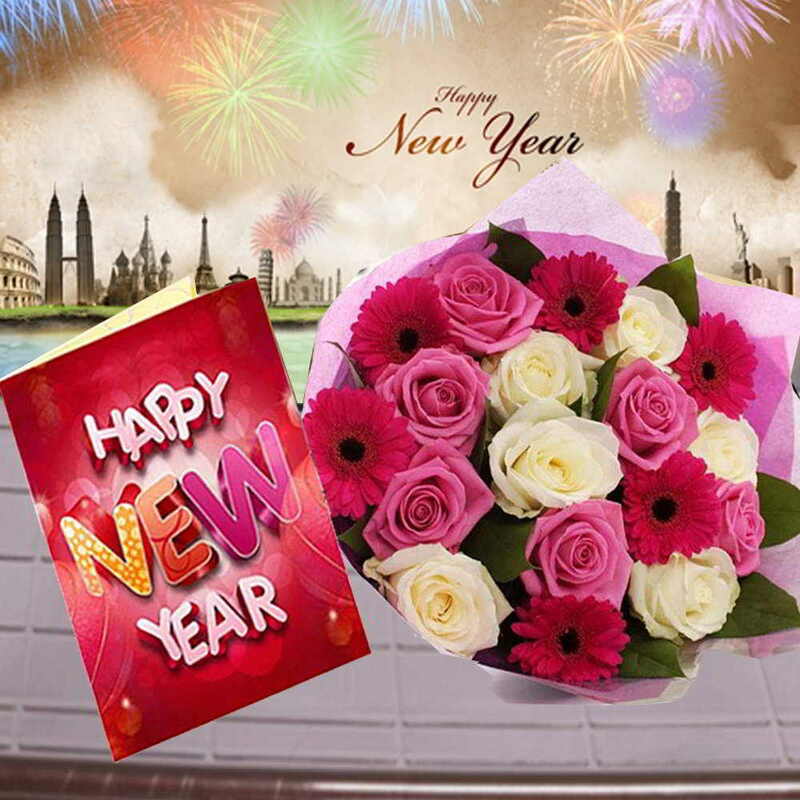 Pamper your special one with heart touching gifts like this wonderful combo that comprises of an alluring bunch of 18 mixed flowers and a lovely New Year greeting card. The bunch contains pink and white colored freshly plucked long stemmed roses and gorgeous red gerberas that are beautifully tied together in a colorful cellophane paper and fancy ribbon. 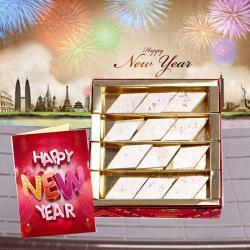 This exquisite hamper is a perfect way to impress your loved ones and brighten their face with smiles. 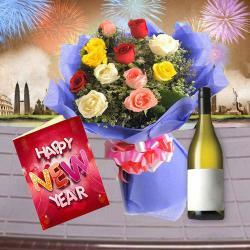 Product Consists : Bouquet of 18 Mix Flowers like Gerberas and Roses in a Tissue Wrapping along with New Year Greeting Card.